Kacy Anderson and Clayton Linthicum are cousins who grew up in rural Saskatchewan, Canada. Kacy and Clayton’s musical partnership was forged by a mutual love of timeless old traditional music. 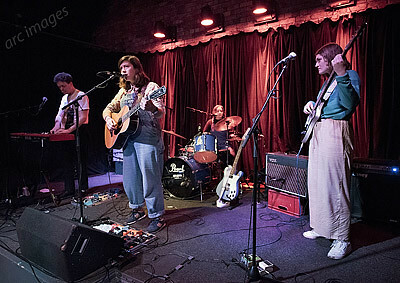 Starting off playing in local venues they’ve since gained many fans and admirers and their most recent acclaimed album ‘The Siren’s Song’ was produced by Jeff Tweedy of Wilco. The duo are currently touring in Europe and tonight they follow up their London gig with a debut visit to The Trades Club in Hebden Bridge. 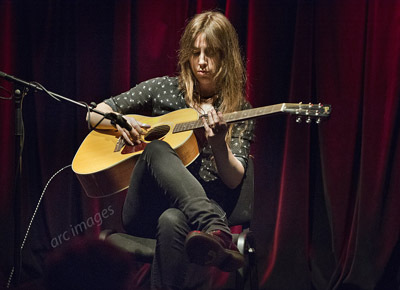 Recently they’ve gigged with an electric band, but for the current tour the pair are playing acoustic. 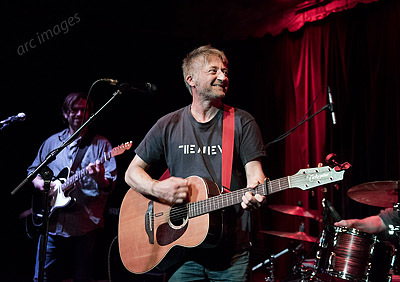 Even if he wasn’t a great wordsmith, tunesmith, singer, musician and performer, out of curiosity you’d have to go and see an act with the name King Creosote. Mr Creosote (no, not the character in the Monty Python film) is actually Kenny Anderson, resident of Fife. 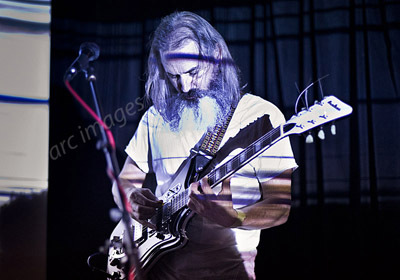 Staunchly independent, he has released truckloads of recordings and founded the Fence record label in 1995. 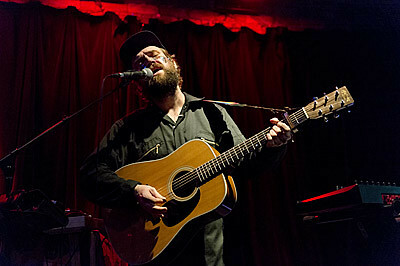 One of his most successful albums, nominated for a Mercury Prize in 2011, has been ‘Diamond Mine’, his collaboration with electronica musician Jon Hopkins. However, he has many albums very worthy of investigation, including the most recent, 2016’s ‘Astronaut Meets Appleman’. 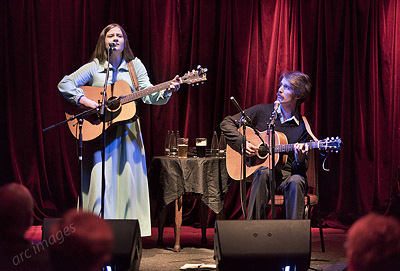 Husband and wife duo Rennie and Brett Sparks have been performing as The Handsome Family since the mid-1990s and have a string of critically acclaimed albums under their belts. Currently based in New Mexico in the USA their style might be described as something like gothic alt-country noir. Their songs frequently focus on the dark side of life, with death, madness and general strangeness emerging as subjects time and time again. However, their unsettling lyrics are delivered set to gorgeous timeless tunes and, particularly live, with a wicked sense of humour. The current UK tour is centred on a performance of their classic 1998 album ‘Through the Trees’, celebrating its 20th anniversary this year. 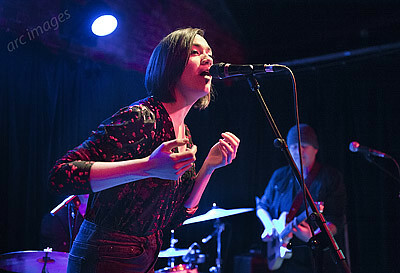 Geordie singer-songwriter Nadine Shah, has been making a real impact with her impassioned ‘Holiday Destination’, one of the best albums of 2017. While the album seethes with anger at the state of the world, Shah has a reputation as a very charming and personable performer who also likes the odd tipple, so we await the start of the gig with interest. 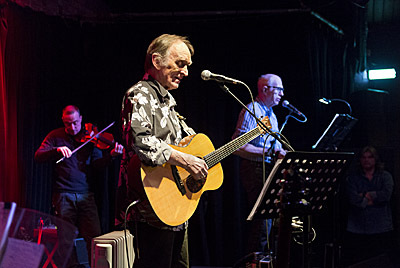 Dave Swarbrick was an iconic figure in the folk music scene, probably most famous for being fiddler, singer and composer with folk-rock pioneers Fairport Convention and for his collaborations with English folk-revival legend Martin Carthy. 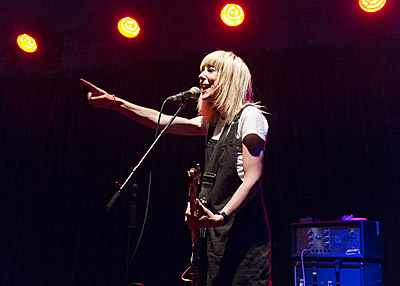 Gig Junkies reviewed their concert at Settle’s Victoria Hall in 2015, on what turned out to be their final tour together. Alas Dave passed-away in 2016 leaving instructions that there should be no funeral. However, before he died he did talk about one last celebratory bash with his friends. Now some of those musical friends and collaborators have got together to organise a touring tribute to the man and his music – ‘Swarb! Suits Him Well’. 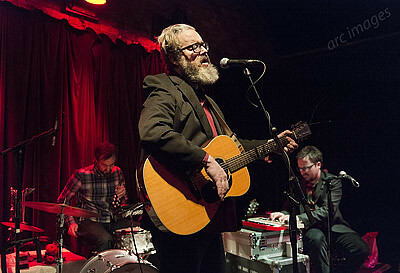 Hebden Bridge is the first date of the tour and The Trades Club is sold-out. 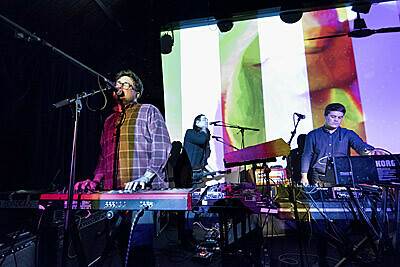 Hookworms are a five-piece Leeds-based band who have been getting some great reviews and radio play (Radio 6’s Marc Riley being a particular enthusiast) and they are renowned for making a full-on racket. Tonight they are playing close to base at Hebden Bridge’s Trades Club and a good number of their fans have turned out to see them. 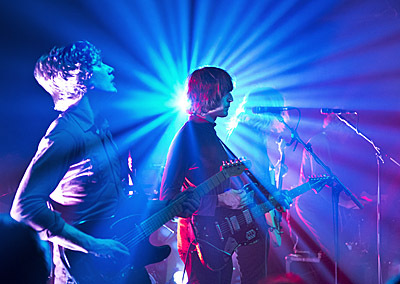 It’s the first gig of their current tour, with the next one scheduled for their home city at Leeds Brudenell Social Club (reputedly their favourite venue) this coming weekend. This is only my second visit to Hebden Bridge’s legendary and characterful Trades Club and already it is one of my all-time favourite live music venues. Tonight the club hosts a psychedelic extravaganza, headed-up by Moon Duo, with this being the last date of the American band’s UK tour. Despite continually writing brilliant garage-pop songs, working with luminaries like Gruff Rhys and John Shuttleworth and getting plaudits from critics and supportive radio DJs, Lancaster’s The Lovely Eggs remain a bit of a cult underground band. Tonight I catch them at Hebden Bridge’s Trades Club, where they are playing a one-off gig, warming up for Summer Festivals.